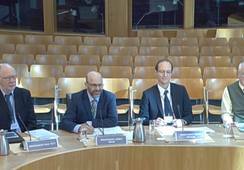 The Scottish Parliament’s Environment, Climate Change and Land Reform (ECCLR) Committee will today discuss salmon conservation regulations, which aim to regulate the killing of wild salmon in specified areas across Scotland. The Conservation of Salmon (Scotland) Amendment Regulations includes 'catch and release' orders in areas where there are concerns about wild salmon populations. A motion to annul changes in the number of rivers in which catch and release is to be made mandatory has been lodged by Mid Scotland and Fife Conservative MSP Liz Smith. 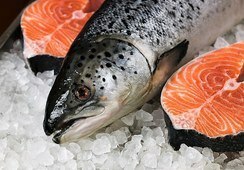 The Scottish Government and Marine Scotland say there is an ongoing need to demonstrate that any killing of wild salmon in Scotland is sustainable. However, angling groups such as Loch Lomond Angling Improvement Association said that data on salmon numbers is flawed, and will be damaging for their clubs and local communities. 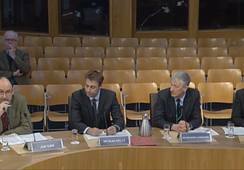 Today’s meeting takes place against the background of an ongoing inquiry into salmon farming in Scotland by the Rural Economy and Connectivity (REC) Committee, which last week heard from angling representatives who said sea lice from farms were causing mortality in wild post-smolts migrating to sea and were one of several factors leading to a decline in wild stocks and catches in rivers. During that meeting, Jon Gibb, clerk of Lochaber District Salmon Fishery Board, argued that anglers were self-policing and didn’t need to be told when to return fish. But Guy Linley-Adams, representing Salmon and Trout Conservation Scotland, told the REC Committee meeting that if anglers were demanding a more precautionary approach to expansion from the fish farming industry, “it was absolutely right that the wild fisheries sector should apply the precautionary approach to itself”. 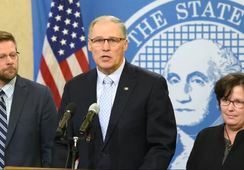 The proposed changes to regulations would increase the number of rivers where catch and release is mandatory from 73 to 122. The figure is reviewed annually, based on catch data.